Puerto Rico is best known for its well-preserved Spanish fortifications in Old San Juan, such as El Morro, the most visited tourist attraction on the island. While exploring the famous fort’s walls and enjoying the amazing view of the San Juan Bay, visitors may notice something else. In the distance lies a smaller and seemingly less impressive looking fort. Truth be told, it was El Morro’s most important ally in times of conflict. 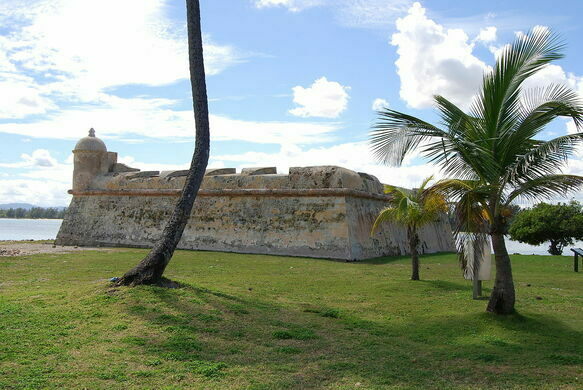 Fortín San Juan de la Cruz, known locally as El Cañuelo, was built on the west side of San Juan Bay in 1610 as one of the first structures in the city’s defense system. The original wooden structure was seized and eventually destroyed by invading Dutch forces during the Battle of San Juan of 1625. 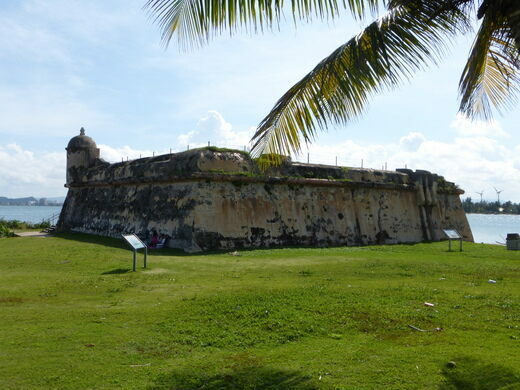 Despite the setback, the Spaniards eventually repelled the attack and the fort was rebuilt from stone (masonry) sometime between the 1660s and 1670s. The new and current structure is 50 square feet in size and its walls are 15 feet tall. Its flat rooftop enabled the use of heavy artillery with a maximum capacity of 18 cannons. In addition, the fort included warehouses, barracks, and cisterns to lodge the assigned garrison for several days. The location of El Cañuelo was key, allowing crossfire with El Morro against invading ships trying to storm the city through the San Juan Bay, such as the aforementioned Dutch attack. 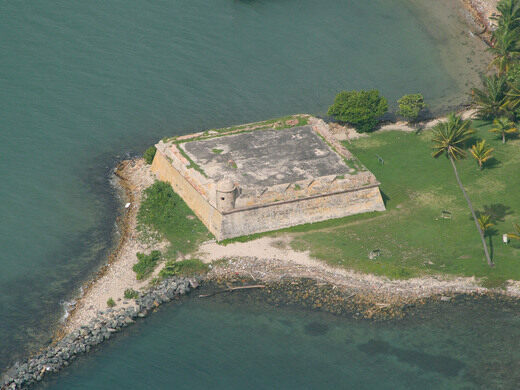 The fort also was able to defend the mouth of the Bayamón River, an important route of transportation connecting the interior of Isla de Cabras (Goats Island) to the bay. 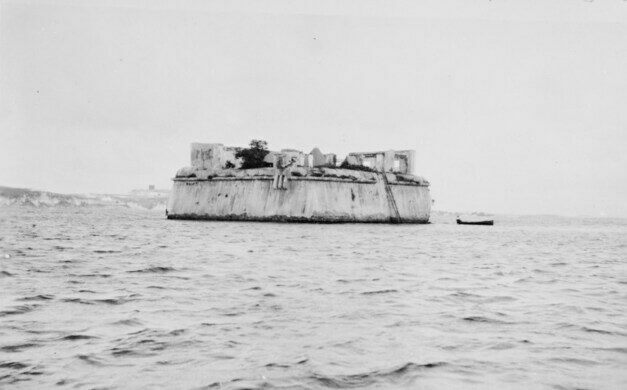 For centuries the fort was surrounded by water, accessible only by boat until the United States took it over following the Spanish-American War. In 1935, El Cañuelo was linked to Isla de Cabras when the United States Army Corp of Engineers filled the surrounding area as we see it today. A bridge connecting Isla de Cabras to the mainland was also built, which today is part of the town of Toa Baja. 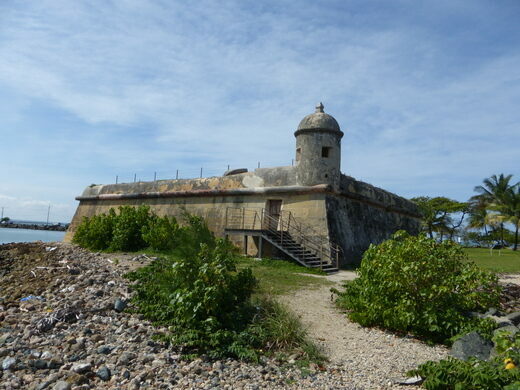 El Cañuelo, along with the other Spanish fortifications has been part of the San Juan National Historic Site since 1973 and was declared a UNESCO World Heritage Site 10 years later. Today, it still greets the visitors of Isla de Cabras, which offers a majestic view of Old San Juan and of course, El Morro. Unfortunately the interior of El Cañuelo is currently not open to visitors, but you can still explore the surrounding areas and enjoy the view of the San Juan Bay. This star-shaped artillery fort protected the mouth of the Thames from the 16th century to the Second World War.